For some time now, Bluetooth has been the preferred technology to wirelessly pair two gadgets, and over the years, we’ve seen it change and become better and better in the process. Yet, unfortunately, some old-school myths about it still persist. It’s time to bust them. Today’s Bluetooth is different from the Bluetooth of years ago. Here are the most common misconceptions that people still hold and what you should know instead. In the early days of smartphones, yes, keeping your Bluetooth switched on led to a drop in your battery life. That’s because once your connection was on, it would actively look for devices to pair with at all times. But that’s a smartphone myth you can now forget 10 Popular Smartphone Myths That Aren't True 10 Popular Smartphone Myths That Aren't True We're going to tackle 10 of the most prevalent smartphone myths today and see if we can't do our part in ending the misinformation surrounding today's smartphones. Read More . With the new Bluetooth standards starting with version 4 and beyond, we got something called the Low Energy (LE) module. Similarly, once a connection has been made, an LE device won’t draw substantial power when data is not being transferred. For example, if you have paired your smartphone with a pair of great Bluetooth headphones, it won’t draw power when you aren’t playing a song. As a result, Bluetooth LE’s overall power consumption has been lowered by half or more. Where the classic Bluetooth would use 1W, Bluetooth LE would use between 0.01 to 0.5W. A massive improvement. At this point, there is no solid consensus on whether radiation from mobile phones is harmful to your health. However, we do know one thing for sure: certain Bluetooth headsets are definitely much safer for you. Radiation is about power and Bluetooth excels in that regard. Bluetooth’s maximum output for a Class 1 device is 100mW (milliwatt) of power, and it rarely does that. In fact, most Bluetooth devices you use have a maximum of 1mW of power. On the other hand, standard phones operate at 1,000mW or 2,000mW when you’re using 3G or 4G services. So no, Bluetooth might not be completely safe, but wearing a Bluetooth headset is better for your exposure to radiation than a smartphone. You obviously can’t escape having a phone with you in this day and age, so if you are a little wary of the radiation consequences, get a Bluetooth headset. Bluetooth Class 3 devices have a range of less than 10 meters. Bluetooth Class 2 devices have a range of around 10 meters. Bluetooth Class 1 devices have a range of around 100 meters. 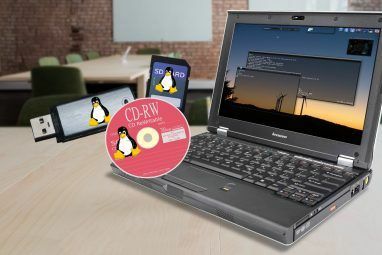 Generally, you’ll only get Bluetooth Class 1 in devices which have their own power source or have a significant power unit, like desktop computers or speakers that require an electrical connection. Most smartphones and tablets use Bluetooth Class 2 or 3. Yet even then, 10 meters is the theoretical distance that they’re aiming for. Without any interference, like walls, you’ll find that it sometimes extends beyond that. No! No, no, no! Bluetooth technology has never had a great reputation for security, but the more recent versions have plugged a lot of holes and gaps. Chief among these myths is that if you set your device as non-discoverable, then others with malicious intent can’t find it and you’ll be safe. The biggest culprits in this infiltration are the default passwords 7 Password Mistakes That Will Likely Get You Hacked 7 Password Mistakes That Will Likely Get You Hacked The worst passwords of 2015 have been released, and they're quite worrying. But they show that it's absolutely critical to strengthen your weak passwords, with just a few simple tweaks. Read More that are used on most Bluetooth devices: 0000 or 1234. Because of this, almost anyone can connect to your Bluetooth device once they have your address. This simple, illogical system is the cause behind most cases of eavesdropping and Bluejacking (connecting to a phone to send spam) on Bluetooth devices. So the first thing you need to do right now is go to your phone’s Bluetooth settings and change the password to a secure four-digit PIN. If you’re really worried about a malware attack through Bluetooth, keep your connection OFF instead of non-discoverable. Bluetooth can’t be infiltrated if it’s off. Like most other wireless technologies, Bluetooth uses the 2.4 GHz radio frequency to send and receive data. That’s the same frequency used by everything from your Wi-Fi network to your microwave oven. So naturally, the first thought is that your Bluetooth connection’s stability and speed depends upon what other devices are running in the vicinity and whether they’re broadcasting data on said wireless frequencies. Bluetooth uses something called adaptive frequency hopping and this has really improved with Bluetooth 5.0 Bluetooth 5: What's New and What's Good? Bluetooth 5: What's New and What's Good? The latest version of Bluetooth has been announced and will be packed full of improvements and new features. Here's everything you need to know about it. Read More . Let’s break it down to understand what it does exactly. The 2.4 GHz frequency is a band that goes from 2,400 MHz to 2,483.5 MHz. Bluetooth uses two channels, each monitoring 50% of the band. The signal rapidly “hops” from one free frequency to another, thus ensuring that it won’t get disrupted by other devices trying to use that band. 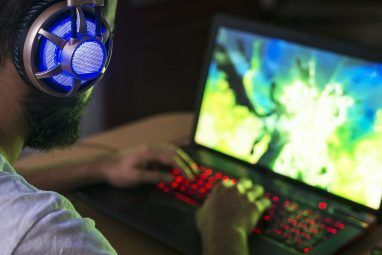 The end result is that while other wireless connections can seek to use the same frequency that Bluetooth is using, its super-fast adaptive hopping keeps your connection stable without drops in speed. In a nutshell, Bluetooth is a convenient and safe technology to connect devices wirelessly. Feel free to use it, especially with Bluetooth 5.0 gadgets, without worrying too much about battery life. Such myths and misinformation spreads only when you don’t know enough about a topic. If you have any further doubts about Bluetooth, we have answers to the most common Bluetooth questions What Is Bluetooth? 10 Common Questions, Asked and Answered What Is Bluetooth? 10 Common Questions, Asked and Answered What is Bluetooth and how does it work? 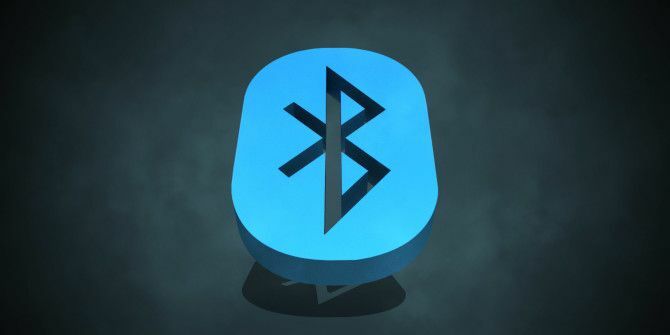 We take a look at Bluetooth, why it's so useful, and how to use it. Read More . Explore more about: Bluetooth, Debunking Myths, Headphones, Health, Smartphone Security. 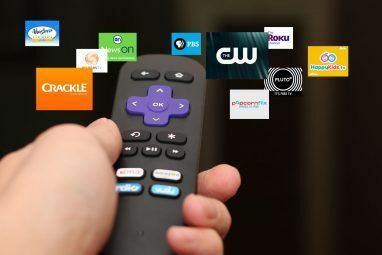 Disney+, Is IPTV Legal, and Office Alternatives for macOSThe Era of 4K TVs: Do You Really Need HDR? You need to learn more about Bluetooth and BLE, they are not the same technology and I have proven half of your stated myths are incorrect. Wow, fail article. You're trying to dispel common myths yet cant even debunk the most common and stupid myth. there are two types of radiation, Ionizing and non-ionizing. Bluetooth is non-ionizing, as well as Wi-Fi, your cell phone, your radio, and even microwaves. Ionizing radiation is able to react with the ions in your DNA, damaging it and possibly leading to cancer, if the cell doesn't just die. For example UltraViolet radiation, or X-rays. you will get cancer from the sun long before your Bluetooth or cell phone because... Science. it is literally impossible to get cancer from radio waves. want to know more? look up Electromagnetic spectrum. Bluetooth for some devices is great but back to the security issues, why does EVERYTHING now have Bluetooth to the point one cannot purchase whatever it is, without it--ie: a rechargeable toothbrush----reallllly? If you do not activate or pair the Bluetooth is it still hackable & if so, is there any way around it if a device has it & one does not want to activate it? "Yet even then, 10 meters is the theoretical distance that they’re aiming for. Without any interference, like walls, you’ll find that it sometimes extends beyond that." This made my laugh. I have yet to find a BT speaker that works reliably beyond about 1 meter. I've tried high end units from JVC and BOSE, low end units from Logitech, and two Chinese no names. It doesn't matter what the source is, an older iPad, a new iPhone 6s, a Mac, a Lenovo laptop, all of them are unreliable beyond 1 meter. I find headsets for phones are generally a little better, I can get 2 or 3 meters before the sound quality goes to heck in a hurry. My advice is stick with wired or wifi until BlueTooth is really ready for prime time. I've done more than 10 meters actually. Used the Soundlink 2 and the iPad Air first-gen.